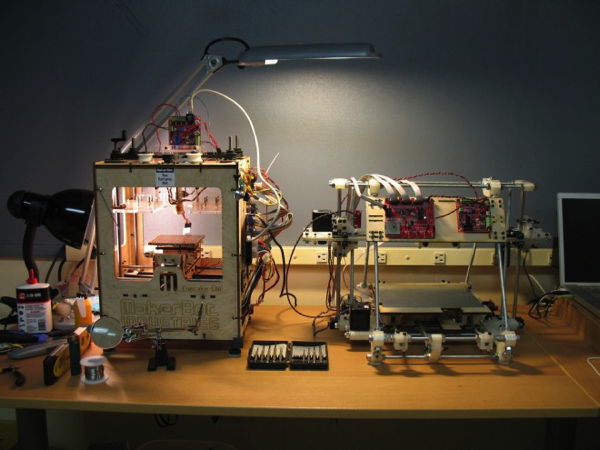 DIY Market Slows Dramatically as 3-D Printing Hits Its Industrial Stride #3dthursday « Adafruit Industries – Makers, hackers, artists, designers and engineers! …According to the Wohlers report, the overall market for 3-D printing products and services hit $2.2 billion in 2012, a compounded annual growth rate of almost 29 percent compared to the $1.7 billion the industry recorded in 2011. Over the 25 years that Wohlers has been tracking 3-D printing the compounded annual growth rate has been about 25 percent. Of the 3-D printing machines sold, the low-cost category (those priced under $5,000 and where most of the DIY crowd is concentrated) accounted for almost $40 million in sales. That translates to 6.5 percent of the $617.5 million in 3-D printers sold. Yes, the hobbyist market is a very new one, but the growth curve it has been riding for the past few years has slowed dramatically. 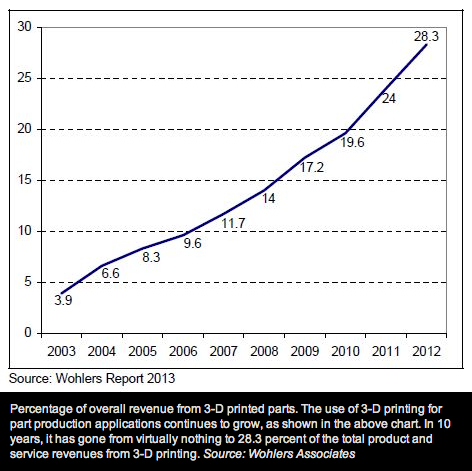 From 2008 to 2011 the market in low-cost 3-D printers grew 346 percent a year, according to Wohlers. In 2012, growth slowed to 46 percent.